A scene like never before unfolded in last night’s wild National Hockey League game between the New York Rangers and Detroit Red Wings at Madison Square Garden in New York. 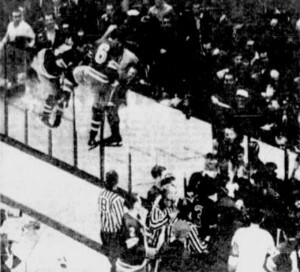 In the game, which ended in a 3-3 tie, a number of fans and Ranger general manager Emile Francis became incensed with a goal judge over a disputed Detroit goal and a full-scale brawl ensued. 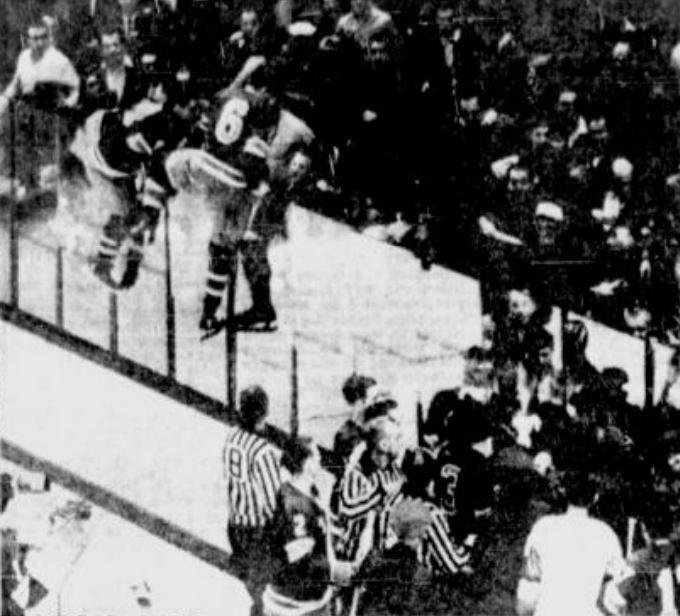 Some how, Francis ended up being pummelled by a group of fans and several New York players scaled the protective glass to save their manager from serious injury. In the other two NHL games last night, Toronto thumped Chicago 7-3 while the Boston Bruins once again rode the goaltending of rookie Bernie Parent to a 3-2 over Montreal. At New York, the game was, for the most part, a pedestrian affair until the 9:50 mark of the third period. The Rangers had the lead at the end of the first on a goal by Phil Goyette, his third. Former Ranger captain Andy Bathgate tied it up for Detroit with the only goal of the second period. The third period started with Don Marshall of the Rangers notching his sixth of the season in the first minute to put the Rangers ahead. 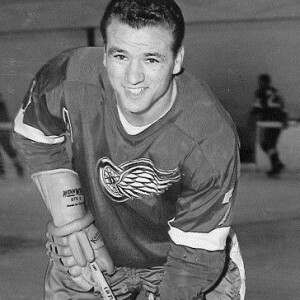 Then, at 9:50 Norm Ullman of the Red Wings scored a goal, at least in the opinion of goal judge Arthur Reichart. The dispute began when during a scramble around the Ranger goal, netminder Ed Giacomin gloved the puck and appeared to sweep it safely to the side of the net. However Reichart believed Giacomin’s catching glove, with the puck securely inside it, traversed the goal line and he turned on the red light, signifying a score. I ran down from my side arena seat to protest the call. One of the fans cursed me and I said ‘get lost’ and that’s the way it started. Arnie Brown and Mike McMahon follow Vic Hadfield over the glass. Within three seconds, Francis was flattened by three fans who pummeled the slightly built former goaltender mercilessly. Francis suffered a two-stitch gash over the eye and various bruises. I saw Emile lying on his back and one guy had him by the shoulder and another guy was swinging away at him so I had to go over and save him. Following Hadfield into the stands were Arnie Brown, Earl Ingarfield, Lou Angotti, Wayne Hillman, Larry Mickey, Rod Seiling, Mike McMahon, Harry Howell and Johnny McKenzie. In one of the most bizarre scenes in NHL history, the area was a sea of flailing fans, Ranger players and special police. After being rescued by his players, Francis leaped over the benches and nailed one of his attackers with several solid punches of his own. It took police 15 minutes to restore order. We finally have a manager who will protect the team. Jennings also had harsh words for Reichart, a veteran of 20 years as a goal judge at the Garden. We will take steps to see he is no longer a goal judge. After all the brawling was finished, the teams each scored once more and neither goal left any doubt about its legitimacy. Earl Ingarfield put the Rangers ahead five minutes after Ullman’s marker. Bruce MacGregor connected with 1:45 to play to make the final 3-3. The suddenly resurgent Toronto Maple Leafs scored their second straight win over the second-place Chicago Black Hawks last night at Chicago Stadium. After a solid 3-1 win Saturday night against rookie goalie Dave Dryden, the Leafs embarrassed regular netminder Glenn Hall by scoring seven times en route to a 7-3 win. This game was by far Toronto’s best of the young NHL season. From goalie Terry Sawchuk to the five-man defensive unit to all three forward lines, the entire team contributed. It didn’t hurt that the Hawks lost superstar Bobby Hull with what is feared to be a knee injury in the first period. 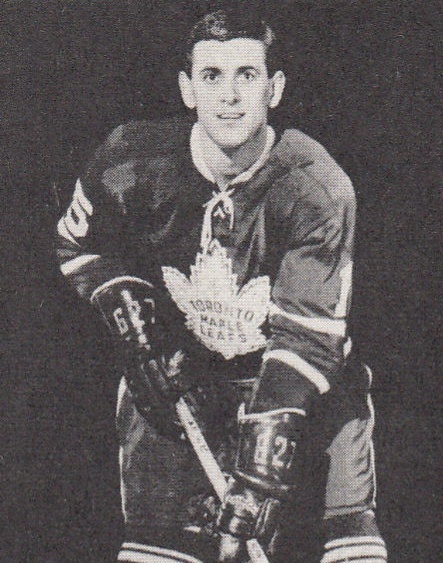 The Leafs also lost a player to injury when rookie Brit Selby was felled by Pierre Pilote check into the boards in the second period. He was diagnosed with bruised ribs. The Leafs came out flying, scoring four times in the first period before the Hawks got one late. Ed Shack, Tim Horton, Selby and Dave Keon had the Leafs up by four before Phil Esposito got the home side on the board. The Black Hawks narrowed the gap to 4-2 thanks to Chico Maki’s second of the season early in the second. Bob Pulford restored the three-goal margin late in the period. The Leafs went up 7-2 in the third on goals by Orland Kurtenbach and rookie Mike Walton. Walton, just called up from Rochester of the American Hockey League, played sparingly but managed his first NHL goal thanks to sophomore winger Ron Ellis. He was in the lineup to replace injured Red Kelly. Esposito scored his second of the game and fifth of the year for Chicago late in the final frame to round out the scoring. Eddie Shack and Tim Horton were the most productive Leafs with a goal and two assists each. 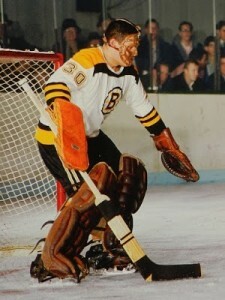 Rookie Boston Bruins goalie Bernie Parent one again put in a stellar performance against the Montreal Canadiens. This time, in Boston Garden, the Montreal native made 40 saves, including 17 in a wild third period to enable the Bruins to upset the first-place Canadiens 3-2. Parent’s play belies his age, as the 20-year-old was cool as a cucumber throughout the pressure-packed third period. The youngster was grinning ear-to-ear after the game after beating the team he idolized as a kid. Two wins over Canadiens, that’s pretty good! 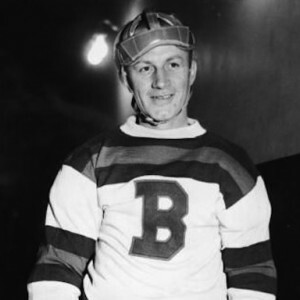 Tommy Williams was the offensive star for the Bruins with a pair of goals, but it was Johnny Bucyk’s marker in the final frame that proved to be the game winner. Claude Larose and Gilles Tremblay replied for the Habs. The victory was Boston’s third in 11 games this season. The previously unbeaten Niagara Falls Flyers finally lost their first OHA Junior A game last night when they dropped a 3-1 decision to the Toronto Marlboros. Over 7,800 fans took in the game at Maple Leaf Gardens. For their part, the Marlboros, who have been wracked by injuries, are now rounding into full health. 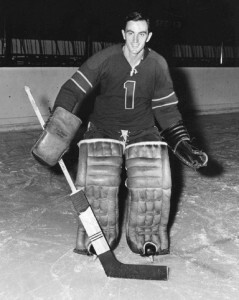 The fact that they are getting solid goaltending from Bob Whidden is a big reason in their recent success. Marlies coach Gus Bodnar says that with two more players expected back from sick bay, he expects his club to be even stronger very soon. Defenseman Brian Glennie scored two goals for Toronto, with Brent Imlach adding the other. 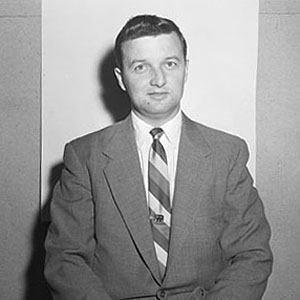 Don Marcotte was the Niagara marksman. In the other two OHA games yesterday, Oshawa edged Kitchener 2-1 and St. Catharines handled Hamilton 6-3. Bobby Orr and Bob Dussiaume scored the Oshawa goals against Kitchener. Walter Tkaczuk replied for the Rangers. Richie Bayes fired a hat trick for St. Catharines against Hamilton. Ken Laidlaw had two goals with Kerry Bond netting the other. Hamilton goal-getters were Bill Smith, Freddie Speck and Nick Libett. Shore Fights With Goalie – His Own! The Springfield Indians won a hockey game Sunday night and had an unusual way of celebrating. After the game, 62-year-old Eddie Shore, a member of the Hockey Hall of Fame for his brilliant playing career, came to blows with his goaltender, Jacques Caron, 26. 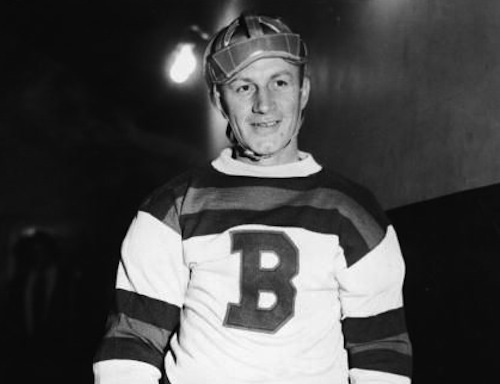 The exchange of punches occurred after the Indians had dropped the Buffalo Bisons 4-2 in one of three American Hockey League games played last night. Game officials and Springfield players broke up the set-to, which had nothing to do with Caron’s game performance. Caron told reporters that he was upset with Shore after he refused to allow the goalkeeper to stay overnight in Buffalo with his wife, who had traveled from Toronto to see the game, and her husband. The Indians are in the middle of a 21-day road trip that will take them to the west coast for interlocking games with Western Hockey League teams. Dale Rolfe, Brian Smith, Dave Amadio and Jimmy Anderson scored for Springfield. Jerry Melnyk and Mel Pearson had the Buffalo goals. Other AHL games saw Providence beat Baltimore 5-2 and Rochester Americans hammered Cleveland 8-1. Providence got goals from Doug Senior, Jules Bouchard, Jimmy Bartlett, Jim Mikol and Pierre Brillant. Ray Cullen had both Baltimore tallies. Gerry Ehman led Rochester’s potent attack with three goals. 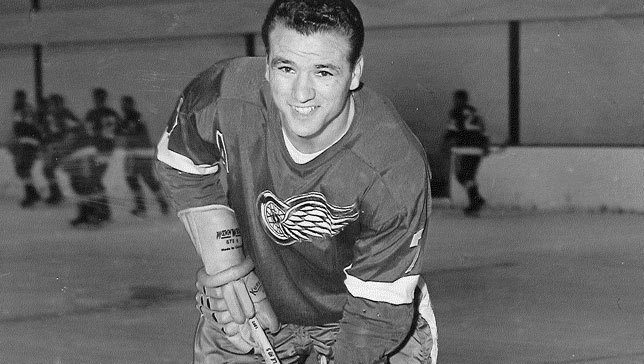 Jim Pappin score twice, with singles added by Duane Rupp, Red Armstrong and Don Cherry. Keith McCreary scored for Cleveland.